The Bialystok Cemetery Restoration Fund is entering its fourth year. Over the past three summers, a group of dedicated volunteers from all over the world have travelled to Bialystok, Poland. Collectively, we have reset almost 1,000 headstones to their rightful graves. Our mission is to restore dignity to those individuals whose graves were destroyed by the Nazis and others since WWII. Bialystok’s Jewish population was wiped out by the Nazi extermination. Today this wonderful city of 300,000 has only a handful of Jews living there. 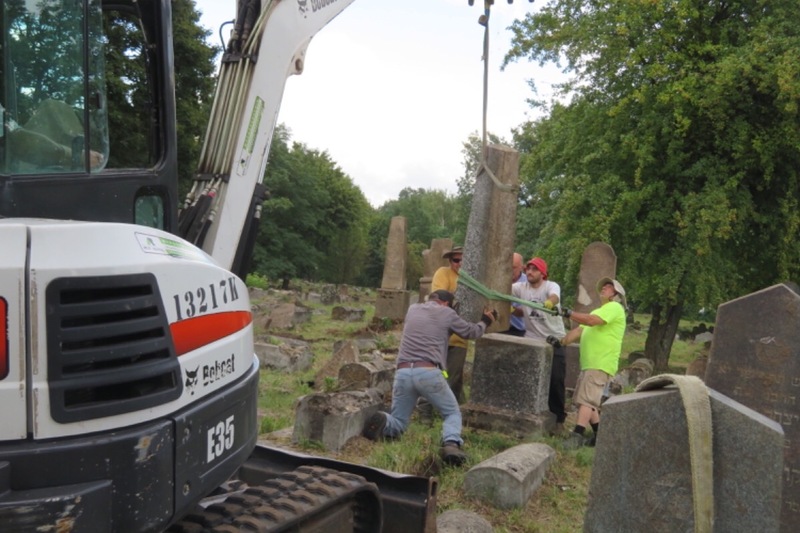 If you visit our website, www.bialystokcemeteryrestoration.org you can learn more about our nonprofit 501c3 organization's mission of righting the wrongs of the past and see what we have accomplished so far. You can donate to our project either here or via PayPal on our site. Only with your help can we continue our past successes at Bagnowka Cemetery, the second largest Jewish cemetery in Poland. We can't do it alone. Thank you for your consideration to help make this important mission possible. Please view this video about our project. We would greatly appreciate any donations to help us fund this continuing project.